Fist of the North Star: Lost Paradise is an action-adventure video game that is based on the manga franchise Fist of the North Star. The game is played from a third-person perstpective and features gameplay mechanics and systems that are similar to those found in Seaga's Yakuza series. 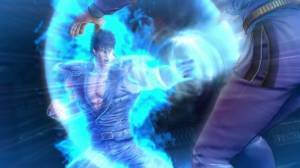 The story is set in a world devestated by nuclear war and players take control of Kenshiro, a super powered martial artist who after having his fiancee Yuria kidnapped by longtime rival Shin embarks on an adventure to rescue his beloved. While travelling through the wastelands Kensiro hears a rumour that a woman called Yuria could be found in the city of Eden, a place where civilization still exists even after the end of the world. No discussions open for Fist of the North Star: Lost Paradise at the moment.